This Popcorn with Lime Juice recipe is a great low calorie snack. 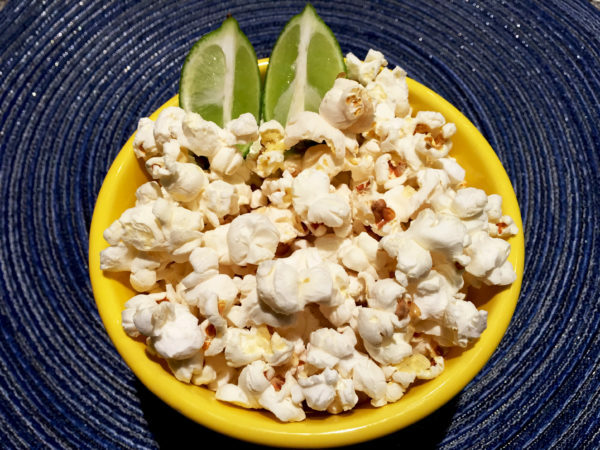 The lime juice gives the popcorn a delicious flavor with minimal calories and lots of Vitamin C.
For air popper: follow the instructions, omitting the butter. For stovetop: add 1 tbsp of vegetable oil and 1 popcorn kernel to a medium pan. Cover and place over medium-high heat. 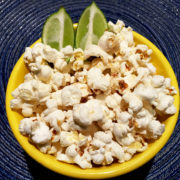 When the single kernel pops, add the 1/2 cup of kernels and cook covered until the kernels have more than 1 to 2 seconds between pops. Shake the pan several times during cooking so the unpopped kernels go to the bottom of the pan. 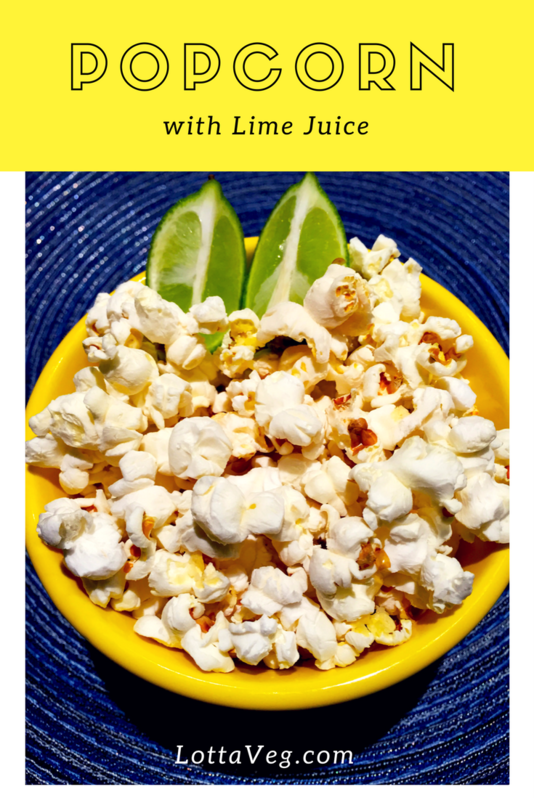 Serve half the popcorn in each bowl and squeeze the lime juice over it. Salt to taste and toss to mix. Serving size is 1/4 cup uncooked popcorn.